Tom Joyner grew up in the town of Tuskegee, Alabama. He is one of two sons. His mother was a secretary for the military and his father served as a Tuskegee Airman. His beginnings were very much like many young blacks in the south. During the Montgomery Boycott, there was the “Tuskegee Boycott”. Tom and many others fought for their civil rights. They took their protests to the streets weekly to try and effect change. One such protest was taken to a local radio station that refused to play “black” music. Eventually the station manager relented and Tom (naturally) nominated himself for the position. The show is beamed into over 105 radio stations across the country each weekday. 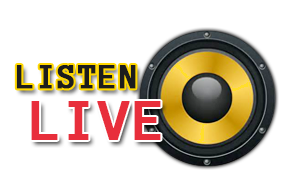 Over 8 million ears tune into the show from their favorite local radio station. It is very well known that Tom Joyner likes to have a good time. He says, “First we get people laughing, then we get ’em to listen. If you can get people to listen, then they begin to think, and that’s when they start making a difference”. The Morning Show with co-hosts Sybil Wilkes, J. Anthony Brown and senior news analyst Roland Martin, also features “Inside Her Story” with Jacque Reid; political commentary from Stephanie Robinson and Jeff Johnson; and celebrity news with Jawn Murray, as well as comedic observations from D.L. Hughley and the Celebrity Snitch Huggy Lowdown. Joyner’s website, BlackAmericaWeb.com, has more than 1.5 million registered users and delivers news with exclusive reports from award winning journalists and unprecedented political coverage as well as interactive elements with on demand audio.